Margaret, here another funny “too much” story. Last summer, I sent my husband out to Cash and Carry for 25 lbs of white sugar. I often buy large amounts to make jam, use for canning, etc. Well, all he saw was “C and H” on the label and the word “sugar” on the label, and being in a hurry, grabbed it and went. The word he did not see was “powdered!” So, yes, I have 25 lbs of powdered sugar right now. I think I’ve used about 2-3 lbs of it since last summer! I put it in ziplock bags, then sealed those in tins. Hopefully, it doesn’t draw moisture. Then, to make it up to me…..he went out and bought 50 lbs sugar:). Silly guy, but he sure understands how much cheaper it is to buy in bulk. Oooh, so much sugar! What a sweet man! (See what I did there? Tee hee hee!) I think you could use powdered sugar somewhat interchangeably with regular sugar, when baking or jam-making. Depending on the baked good, it might not affect the texture. One of my principles of substitution is that like-replaces-like. I’ve successfully replaced regular sugar with pearl sugar when jam-making; I don’t see why icing sugar would be that much different. Of course, I use jam almost only as a yoghurt stir-in, so texture isn’t much of an issue for me. Best of luck using up all. that. sugar! Way to go on a good deal! I often do the same thing when I run across something marked-down low. It ends up saving so much money in the long run. I once ran across dried pinto beans on clearance at a store going out of business and bought enough to fill up the trunk of my car. They were practically giving them away. My husband had a heart attack when I walked in the door. I slowly froze them (to kill bugs), a few bags at a time, then rebagged them in mylar bags. They are stored in a dark corner of the basement. I still have some of those beans! They taste fine but it does take longer to cook them. When money gets tight, I always cook a big pot of pinto beans and feel frugal. It also gives me a sense of security to know we will have food if something ever happens. I wonder how much money it has saved me over the years? No way to know, but it does add up. I suppose the peace of mind has been the best thing for me. I CAN SEND YOU SOME PINTO BEANS!!!!!!!!! I have sprouted and eaten mung beans. They were fine but a bit pricey. It could be the area where I am located, deep south, USA where everyone wants (pinto or white) beans and cornbread. Mung beans are considered a specialty. I love sprouted beans but seem to forget to take them out of the dark cabinet and rinse them. Just this evening I put some black field peas I grew LAST YEAR into a jar to sprout. This will be the first time to try sprouting them. They are in a different spot so maybe I will see them and remember to add water. It has been years since I sprouted lentils. I need to do it again. This winter I am trying to eat at least one serving every day of some type of bean. I grew beans this past summer just for sprouting but haven’t done it yet. Why am I always so far behind on everything? 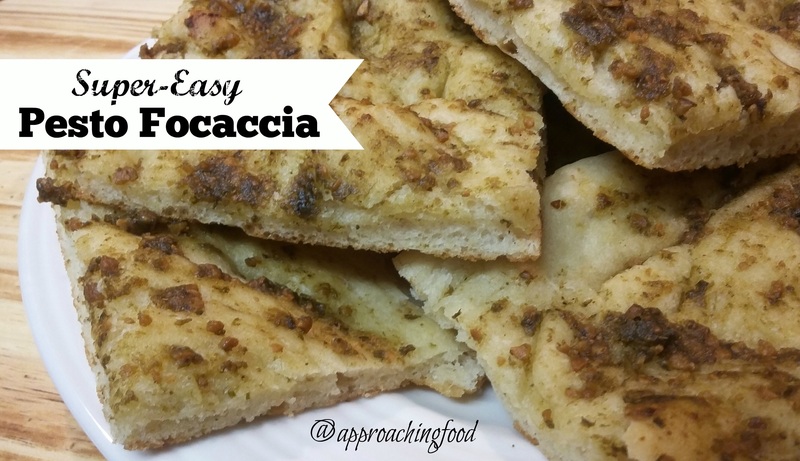 We will love your Pesto Focaccia, it looks awesome! Thanks so much for sharing your post with us at Full Plate Thursday this week. Hope you have a great day and come back soon!